I am currently laying on the floor of my apartment listening to the neighborhood dogs bark at the rising sun feeling... grouchy. My apartment feels blah. My closet feels overflowing and still blah. My kitchen counters feel cluttered yet there's no other place to put the sugar jars. My shoe closet is a nightmare. I don't have a new Fall coat. And quite frankly, no one is paying me any attention. These are pretty trivial complaints, I know (you're lucky I didn't add "I cut myself on my foundation bottle" to the list, because that happened three times yesterday!). But sometimes, the world just isn't quite turning your way and there seems to be the lingering scent of fish on the left side of the sink counter that you can't identify. I feel confident blaming all of this on Ben, whose new best friend is a donor (that's a cadaver in med school speak). He is more interested in mapping out the muscles of the back (who knew there were so many) and scraping the fat and skin off of a body than catering to all of my needs like: "more ice water" and "tea! "I guess I am going to need to adjust, adjust, adjust really quickly to no longer being the center of his world and his free-time occupation. The free time has dwindled and any second of it is now being spent washing the formaldehyde smell off of his clothing. Boo! We're also still struggling along making friends in the new city and as of yet, haven't met anyone that doesn't have a 2 year old. Hey, childless folk of Portland, be our friends! We did manage to get some friend time on the schedule this Sunday and in three weeks from now and I am meeting up with a Portland blogger today for happy hour (thank goodness for socialization!). So I am hoping these things will brighten my days and I can stop laying on the carpet moaning and forcing the cat to cuddle with me for some human interaction. My apartment still doesn't feel very much like home and that really bothers me. I know it's a small thing but sometimes it's the small things that make a big difference! wow gorgeous girl love those shoes too! Very nice and polished look, love ! Those shoes are definitely killing it!!! Those heels are gorgeous! I hope you can make some new friends in Portland. Meeting new people is hard! Such a pretty outfit! I love the touch these heels add! I love this whole look, and those studded heels really give it an awesome edge. But I am most in love with that skirt. I think I will buy it right now! 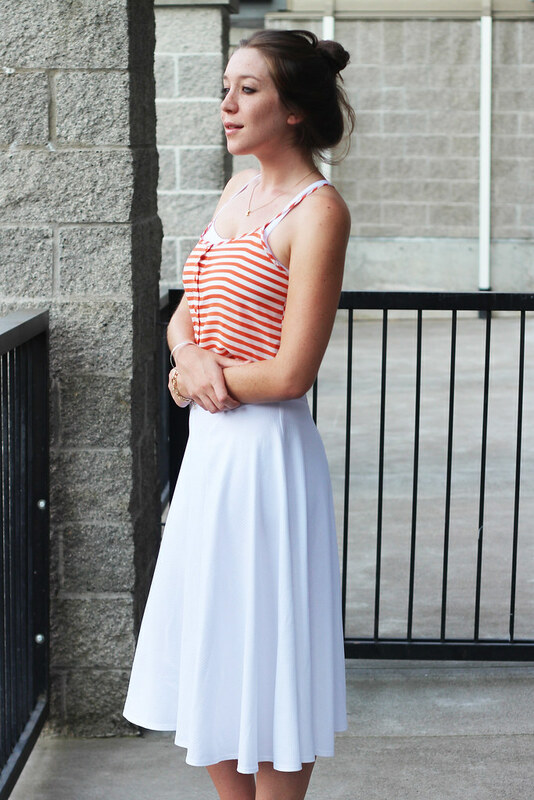 What a great skirt for the summer. Love the top you paired it with. ahh hope things pick up. it's tough moving to a new city definitely, so hopefully you can get some good socialization in with awesome people soon! I know it can be hard when life throws you a curve and you're trying to adjust. It seems like everything is going wrong in transition periods. But it will get better! Im sure you will make friends soon. I was in Philly for over a month before I started to really make any friends. Cheer up, gorgeous girl! Ahh yes.. these things take time... Sometimes it's just plain old hard until things change.. and they will! Don't worry.. until then hit up that happy hour! I do hope that blogger happy hour will cheer you up! The best thing about the northwest is that you CAN just go up to people you want and they will just accept you to be their friend. I hear people talk about the "northwest freeze" but I'll be honest--I've never seen it. Almost everyone has been thrilled to include me in their plans that originally didn't include me. I've been able to just ask, and receive. :) Good luck! It's hard to be in a new place and feel alone. Good thing you have so many friends and supporters here on your blog. gorgeous look! this look screams elegant yet effortless; totalllly love it! Make sure you enter my giveaway to win a CUSTOM monogram necklace! Oh, dear, I'm sorry. I do have to so though that you look amazing in spite of your troubles. Gorgeous and I'm loving the shoes!! This outfit is gorgeous! And the shoes I'm completely in love with. I understand the lack of socialization. The only person I have to talk to most days is my 7 year old. Trust me the conversation is not very titillating. your shoes are just so gorgeous! love them! Keep your chin up, girl :) Better days are yet to come! 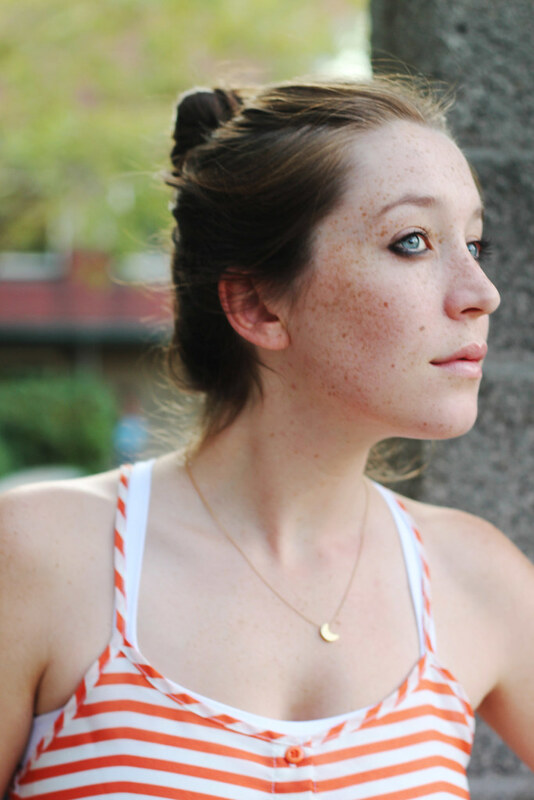 Read some inspirational quotes on Pinterest ;) Also, I can't get over your freckles. You're stunning. I'm sure things will look brighter for you soon! I'm so happy that I've found your blog, you are such a cutie, and look at that outfit, so in love with your skirt, the length is perfect! You have the most beautiful freckles. This skirt is beautiful and I LOVE these shoes! I know how you feel. Some days I'm just angry at the world! I like to hear people complain once in a while so that I know they are human! Anyway, I am loving your skirt! you are looking soo lovely! 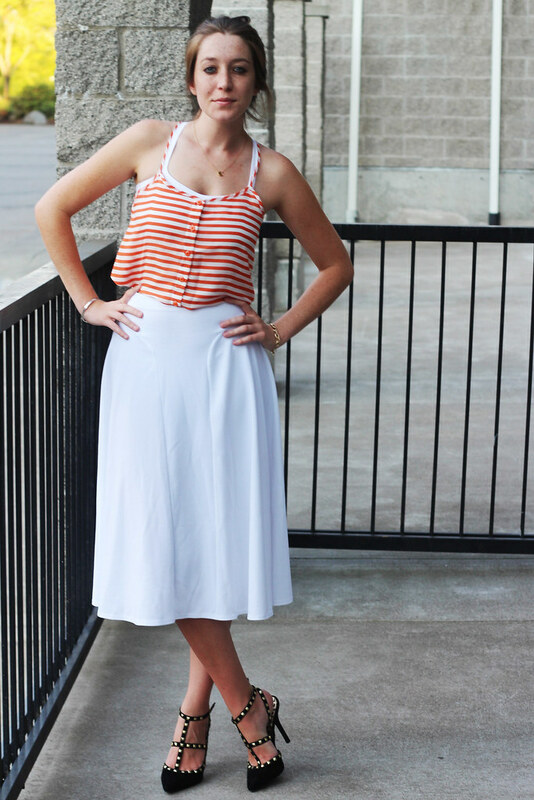 love that classic skirt and the striped top - amazing! also your shoes remind us lots of the valentines:) lovely! 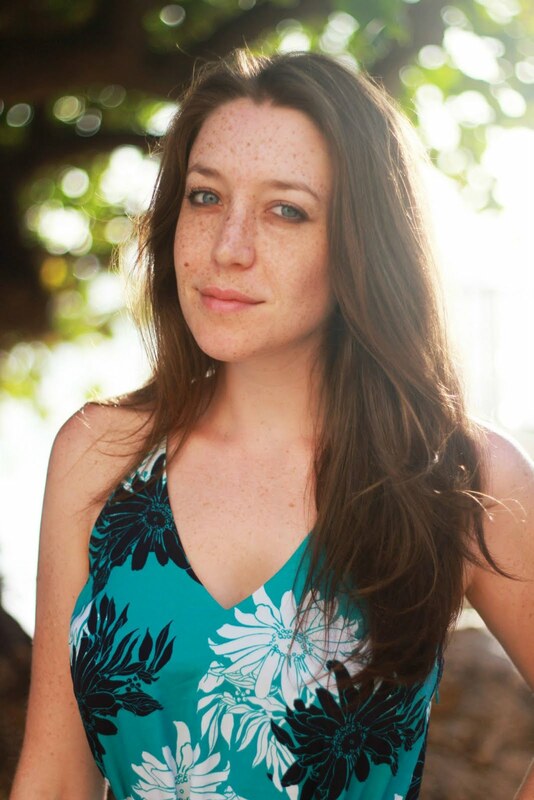 I love your freckles :) And the outfit is lovely! First time visitor to your blog, you have lovely style dear! That skirt is just gorgeous and looks great with the striped tank. at least you look really pretty! it's so hard to make friends as an adult, especially when you move to a new place. i hope that you're getting out there!! there have got to be some cool ladies without little ones in portland.